In the Eritrean tradition, whole villages of people gather under the big tree to create community and live in harmony, enjoying coffee and meals together as if the tree's shadow were an extension of their living room. We invite you to join the community here at Café Dejéna and enjoy a tasty meal or cup of coffee with friends and family in our bright and friendly atmosphere! 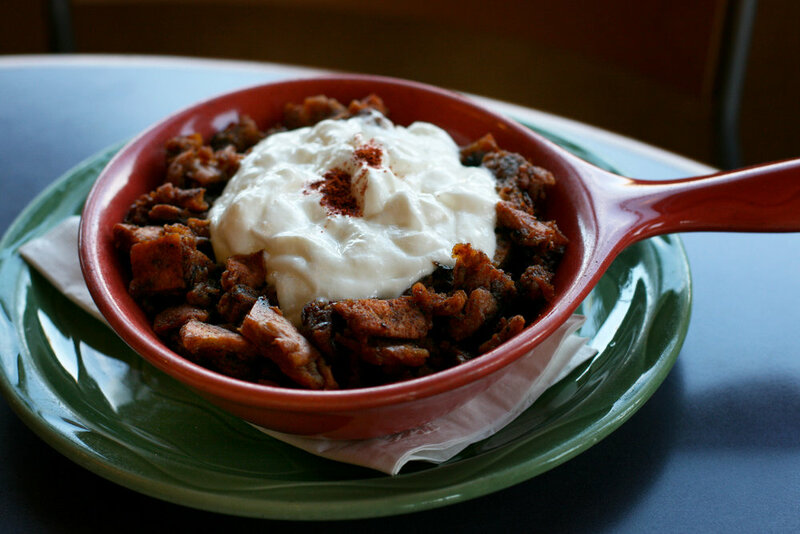 The café is a world of delicious tastes and smells, with a fresh and seasonal menu offering traditional Eritrean favorites, Italian dishes that represent the influence of Italy on our heritage, and some classic American dishes as well. Free WiFi is available for your enjoyment! 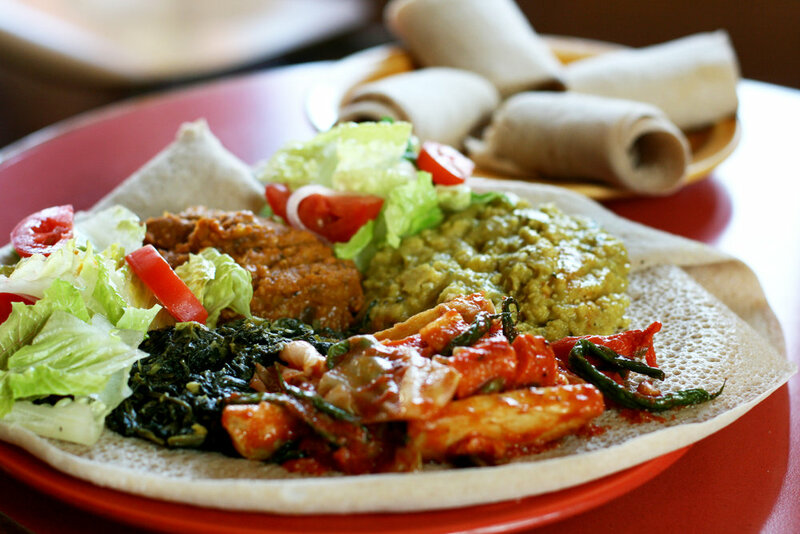 We offer a healthy array of freshly made items such as hot out of the oven breakfast items, homemade soups, salads, sandwiches, vegan and traditional Eritrean and Italian dishes. Thirsty? We have a great variety of coffee, teas, juices and smoothies if you need repose in the middle of your day, or want to chat with friends. Folks have been known to drive from San Francisco just for one of our famous lattes! We love being in the Bay Area, and we know the people here are busy! Our Grab & Go cases offer quick and healthy meals for those in a hurry. Swing by the café for breakfast options and lunch salads. Prefer something from our dine in menu? No problem! Call ahead to place a takeout order. We offer delivery with our partners at UberEATS and Eat24. Click below to place your order! We offer a full catering menu for small events here at the café, or at your special event in the Bay Area. Click below to learn more.